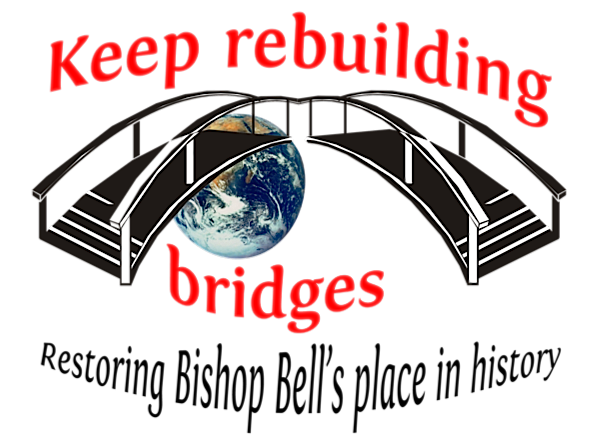 Rebuilding a bridge is a delicate, and at times hazardous, undertaking. Repairing a bridge over troubled waters is not a task for the faint hearted. The issues around Bishop Bell are complex, but the intention of the church authorities is straightforward, to come out appearing in the best possible light. On a trajectory intending to reverse the decades of harm the C of E inflicted by indifference and denial concerning sexual abuse, the result is that the balance is tilted too far towards favouring claimants. The policy of the NST that allegations will be believed and accepted without evidence, has had catastrophic consequences. The sequence of decisions leading to settling ‘Carol’s’ claim has entrenched the NST in a position from which it is difficult to back track. It is tragic to have reached this point, which could have been avoided, by a more fair-minded approach from the NST. Memories of a child reported after a time lapse of over four decades are NOT facts. However, I think that ‘Carol’s’ uncorroborated memories have a kernel of truth in them. Believing her account in its entirety is unsafe, as there is too great margin of error to uphold such a serious matter as destroying the reputation of Bishop Bell. Reconstruction of childhood events over a long passage of time are viewed through the lense of subsequent life experiences. Carol, or anyone looking back on their childhood many decades ago, has ‘anchor points’ for memory reconstruction that are highly subjective. Working with children for many years, I have seen children easily get confused about the hierarchy of who is in charge. It is common error to ascribe the lead person associated with a place or institution with other adults. What I mean is, Carol may have thought a man was a bishop because she came across him in the bishop’s house. With this hypothesis, a random cleric would not even have deliberately feigned to be Bishop Bell but have assumed that character in the mind of Carol. This theory maintains Carol’s credibility and her personal truth as she understands it. Having raised this with hypothesis with Richard, he put me in touch with Geoffrey Boys whose account is compelling, concerning mistaken identity. Mr Boys has given evidence to the Core Group which I understand is in the Briden report, if he wishes to share it. The NST maintain they place a high priority on transparency but do not conduct themselves with transparency. The following statement by Colin Perkins demonstrates this. There was a simple solution by stating, ‘we have heard the claimant’s story and believe she has suffered abuse. We admit admission of liability and apologise, but we cannot determine the identity of the abuser. We have made a settlement on this basis and wish to maintain the reputation of Bishop Bell. We have nothing to hide.’ The NST just needed to come clean about saying as it is; there are no facts, but they compensated Carol because they believe she was abused, albeit without proof of by whom. The Archbishop is entitled to his opinion, even if it controversial and incongruent with many within the church. But his words are not backed by investigating the facts. IF the Archbishop had invited he historian, Andrew Chandler, (author of Bell’s biography 2016) to the Core Group and IF there was legal representation of Bishop Bell’s family (whom the Core Group failed to trace,) then the Archbishop could claim some validity to his statement. However, the lack of representation on behalf of the George Bell’s reputation and his niece Mrs Barbara Whitley, demonstrates that Archbishop Welby has no authentic understanding of the man he demolishes. His rigorous dismissal of the collective wisdom of the scholars and theologians who have written open letters to the Archbishop (letters 16/17/24.1.2018) suggest reckless defamation. 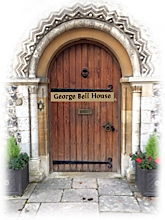 I am reluctant to criticise the Archbishop, but he has sidestepped fully examining George Bell’s life. In conclusion I do want to be angry or sad but celebrate the life of Bishop Bell, despite the efforts of Archbishop Welby and the NST to destroy his legacy. The case of Cliff Richard displays how disproportionally empowering claimants has caused deep trauma. Thankfully Sir Cliff has been fully cleared of abuse, but the toll on his physical and mental health has been very high. The Archbishop’s statements about George Bell are spoken with the authority of his role, but entitlement does not equate with truth and justice.